Phyllis Loretta Harms, 88, of Sedalia passed away Tuesday, October 23, 2018 at Fair View Nursing Home Sedalia. She was born on June 30, 1930 in Hartville, MO, the daughter of Alva and Elizabeth (Brown) McCall, who preceded her in death. In February of 1948, in Sedalia, she was united in marriage to Vernon Edward Harms, who preceded her in death in April of 1979. During Phyllis’s younger years, she lived in Lincoln, MO area until 1937 when she moved to the state of Washington. 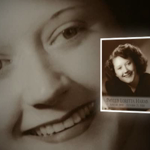 Phyllis returned to Lincoln area in 1945 and move to Sedalia in 1947. She worked for Priddys Shoe Store, C.W. Flowers and Walmart, Sedalia. Phyllis enjoyed playing bingo and especially loved spending time with her grandchildren. She is survived by a son, Stanley Harms (Amelia) of Sedalia; and a daughter Diane Coyle of Sedalia; four grandsons, Matthew Sisemore, Joshua Harms, Luke and Jerod Harms; two great grandsons, Mitch Sisemore and Jackson Harms. In addition to her husband Vernon and her parents she was preceded in death by three sisters, Ruth Harper, Jewell McCall, and Marjorie McCall; three brothers, Harce McCall, James McCall, and Harvey McCall. A funeral service will be held at 11:00 a.m. Friday, October 26, 2018 at Rea Funeral Chapel with Rev. Duane Duchesne officiating. Pallbearers will be Dennis Smethers, Matthew Sisemore, Joshua Harms, Luke Harms, Jerod Harms, and Mitch Sisemore. Memorial contributions may be made to New Hope Baptist Church in care of Rea Funeral Chapel. Phyllis was my last living Aunt on my mother’s side. Over the years I was able to come back and visit her and was always greeted with that great smile like the one shown here in this obituary portrait. Besides the great and infectious smile she also had a great sense of humor and a heart of gold. At Christmas she labored over her kitchen to prepare a sample package of her famous “Chocolate Fudge” packed full with her own special TLC. When I received that special gift each year I would put it in my freezer and sample a piece or two along the way throughout the year. She lived a long and enjoyable life and touched many folks positively along her journey. She will be missed. My sincerest Condolences go out to Stan and Diane and all of those folks who are celebrating Phyllis Harm’s life. God Bless You All.